Back in the 1970s, scientists first hypothesized that the moon was formed when another planet, now called Theia, collided with a young Earth, roughly 4.5 billion years ago. The problem with that theory, though, is that computer models indicated that the moon would then have the same composition as the other planet, but the Earth and the moon are very similar in composition. 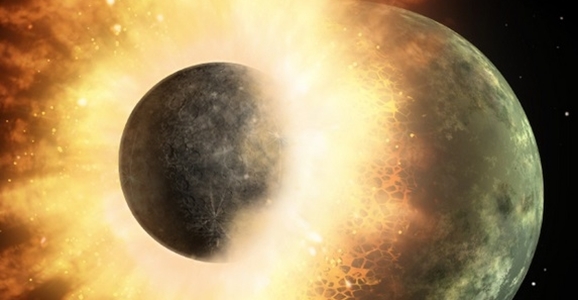 In 2012, scientists found a way to reconcile that discrepancy — if the Earth was rotating much faster than it is now, then a big chunk of Earth’s mantle broke off during the collision, slowing the Earth’s rotation down and explaining why the Earth and the moon are so similar. But now, there’s another explanation — researchers have found material from Theia in a lunar rock found by Apollo astronauts, and it turns out Theia’s composition isn’t so different from Earth’s. Sometimes, a little perspective is a really helpful thing. For example, I’ve been feeling old lately. Maybe it’s just the winter, but I’ve been looking forward to bed by 9:00 pm. Last weekend I found myself thinking that I didn’t want to go out on Saturday night because it was Saturday night — the bars would be packed with all them youngsters! But there’s nothing like science to remind me that I’m still a young whipper-snapper, especially compared to the oldest fragment of Earth ever found. Like so many other super-old life forms and fossils, this hunk of zircon was found in Western Australia. Scientists knew it was old, but their system of measuring just how old was inadequate. They used to count lead isotopes, but that process doesn’t work for zircons because the lead is moved around inside the zircon by the radioactive uranium inside. Instead, scientists used a new method called atom-probe tomography, which basically allows them to count each lead atom. And when they did that, they determined that the piece of zircon, along with two others they found, is 4.375 billion years old. What a geezer! Other than time travelers, no one can tell what the future holds, but that doesn’t stop people from speculating. BBC Future has really outdone itself when it comes to prognostication. Last year they predicted what would happen over the next 150, placing events and developments on a scale from most to least likely. To compile the list, they amassed dozens of predictions made by scientists, bloggers, and other pundits. They consulted Ladbrokes, a British betting firm, to come up with the odds of these predictions actually happening, though I’m not entirely sure how they come up with the exact numbers. According to this graphic, the BBC thinks that we’ll be able to pay $100 for the sequencing of our genomes during this calendar year, and that scientists will create the first immortal mouse by next year. They also envision Facebook being overtaken as the biggest social network by 2016. Interesting. A bunch of the predictions also have to do with climate change. We’ll be able to log-on directly from our brains in 25 years, and we’ll have a base on Mars within 50 years. None of these calculations are too difficult to imagine, but that’s because this timeline is relatively modest. Not so for BBC Future’s new timeline. These folks are nothing if not ambitious, and in their new timeline, they look forward 100 quintillion years. Not familiar with that number? That’s 100,000,000,000,000,000,000 years in the future. 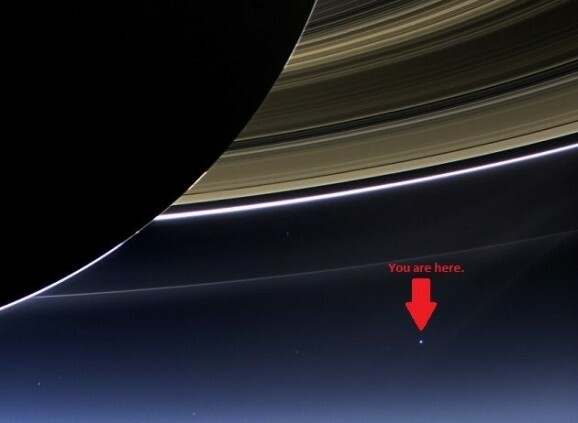 Given my fascination with the universe, my love for Carl Sagan, and my hopes that the reboot of Cosmos will take viewers by storm, it’s only appropriate that my last post of the year would be about space — and more specifically, about a planetary scientist who arranged a pretty awesome photo op of Earth from the Cassini spacecraft. Carolyn Porco, leader of the Cassini Imaging Science team and professor of astrophysics and planetary scientists, is following in Carl Sagan’s footsteps, especially when it comes to appreciating the significance of Earth as the “pale blue dot.” The phrase refers to a photograph taken in 1990 by the Voyager 1 probe on its way out of the Solar System, nearly four billion miles from Earth. At Sagan’s request, NASA had the probe turn around and take a photo of Earth, which Sagan then elegantly wrote about. While the photo provides some perspective on the enormity of the universe and the relative smallness of Earth, the original image wasn’t actually that good, and Porco has been wanting to update that image for a long time. Why does Australia get all the cool fossils and signs of ancient life? It must be the jolly spirit and amazing accents. 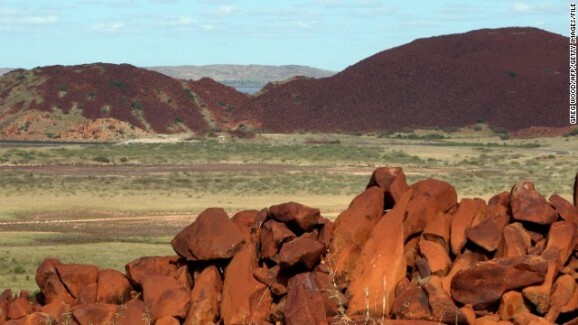 Scientists have found signs of ancient microbial life in the Dresser Formation, an outcropping of rocks in Western Australia. 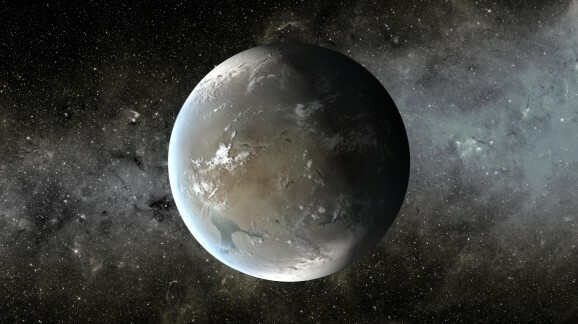 The newly discovered traces date back almost 3.5 billion years, back to when Earth was in its infancy. Scientists believe Earth is about 4.5 billion years old, but it wasn’t until 100-200 million years later that water-indicating minerals and continents formed. Scientists have long wondered when exactly life started out of that soupy mix, and what it looked like.